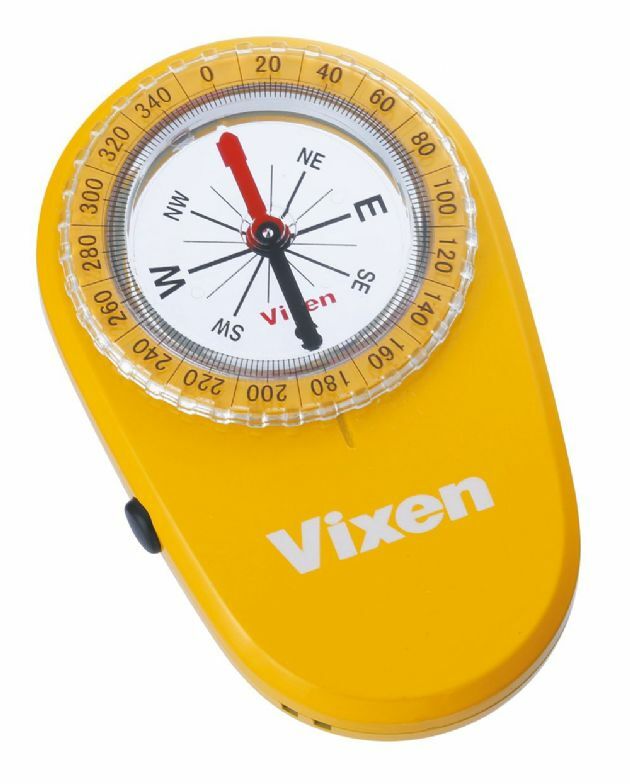 Although especially useful for night sky observation, the LED Compass from Vixen Optics is suited for general use. A red LED light illuminates the dial so you can see the cardinal directions, but won't disrupt your night-acclimated vision. The dial and pointer are visible from both sides, and the compass is oil-filled to stabilize the pointer for accurate readings.